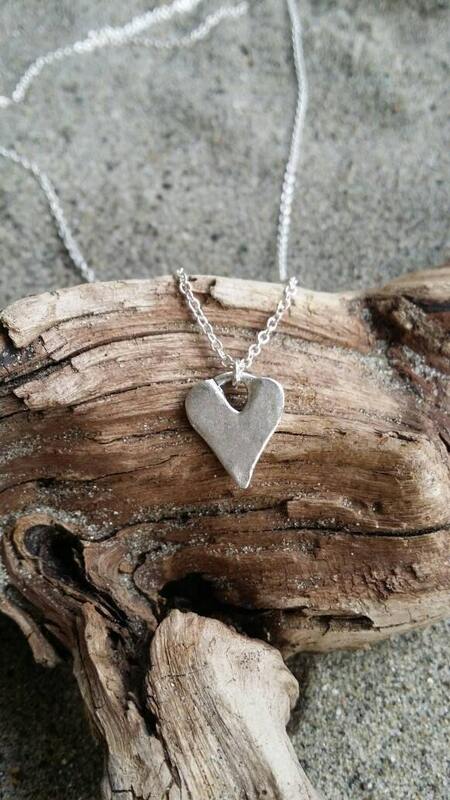 The matte silver plated charm is 12mm x 15mm and has a rustic finish but a very modern shape. 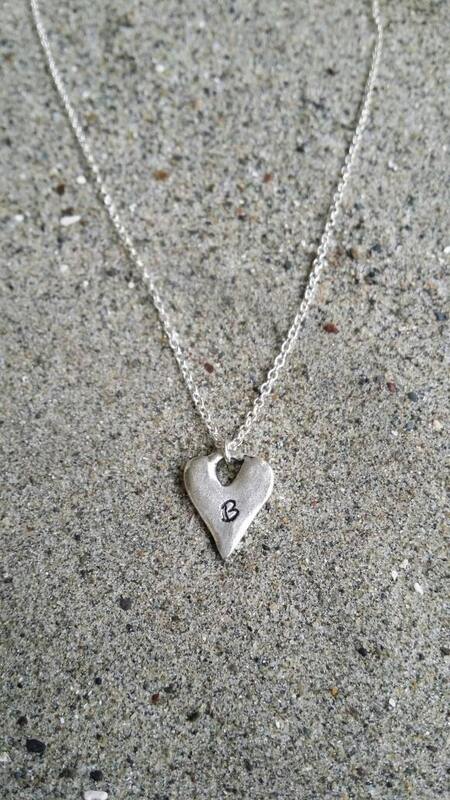 Your initial can be stamped in 3mm Bridgette font on one side, or left plain. 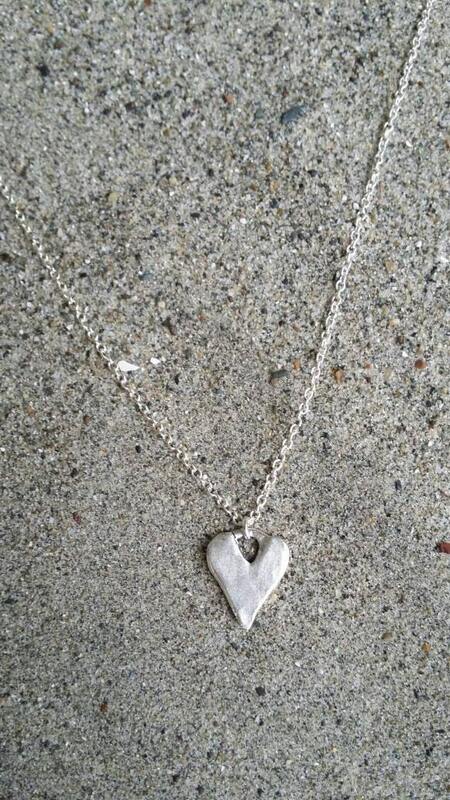 The heart is the same on both sides so you can wear it with the initial on the front or on the back. 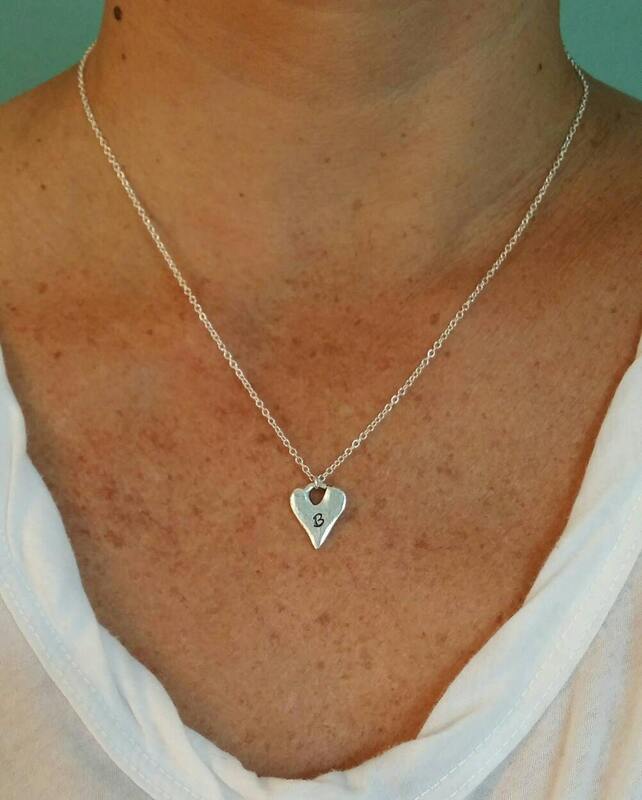 It has a thick sterling silver chain going through the top with a sterling clasp in back. Shown here in 20" length. 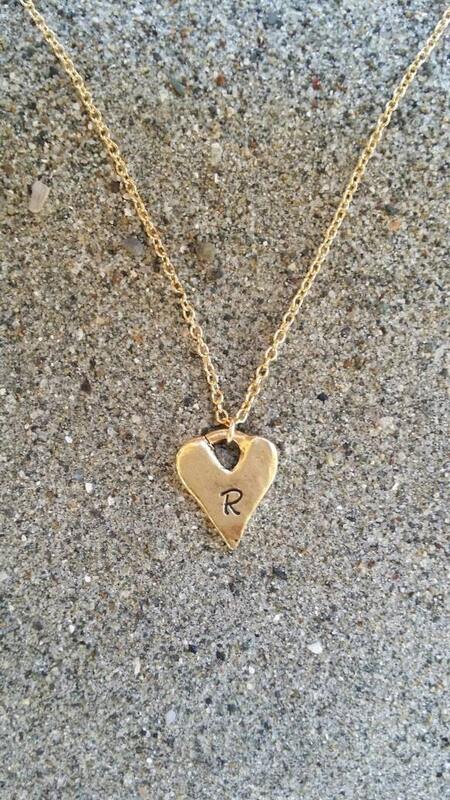 This necklace also comes in matte gold with gold fill chain as shown in the last photo.